Did You Know...Verizon is Taking Note of Us? 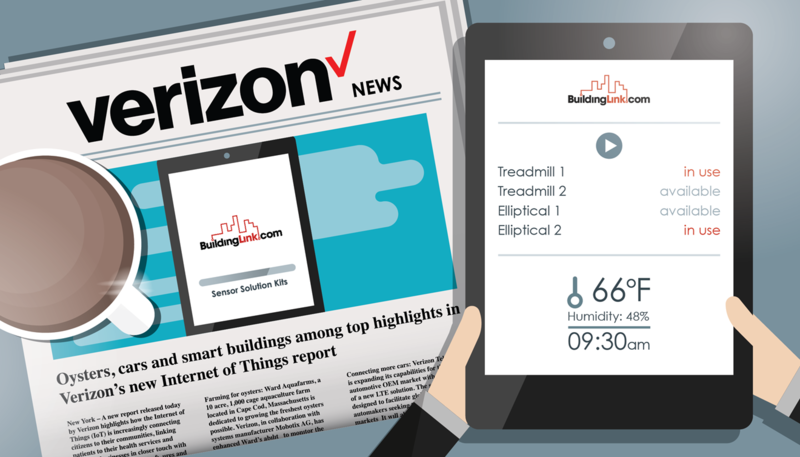 We were going to keep our Sensor Solution Kits under wraps, but Verizon blew our cover in their recent Internet of Things report! We're beta testing a Sensor Solution Kit right now in the fitness center of one of New York City’s high-end residential buildings. Our fitness center kit is providing management with fascinating data, like high-usage times for the gym, which machines are most popular, mean temperature, and average humidity levels! BuildingLink Labs: Meet Our Lab Partners! Covertix’s file encryption technology — ensuring the security of personal data. Real time energy dashboards from Enertiv — providing multi-family properties and residents with actionable feedback to help them go green. Lemonade’s novel peer-to-peer insurance policy — giving residents in our buildings fairer, hassle-free renter’s insurance. A home video intercom system from Nucleus — allowing residents to communicate room-to-room with family members or the front desk concierge. Ontodia’s treasure trove of civic data — helping us compile meaningful community and compliance information for residents and managers. Operational analytics from Panorama — lending a hand to managers looking for in-depth analysis of their building's data. Our diverse group of partners plays a special role in the technological advances happening here at BuildingLink. 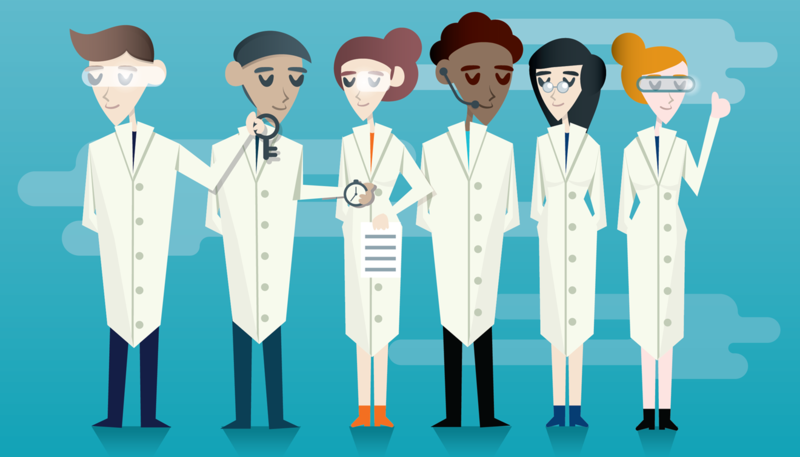 Take a look at our BuildingLink Labs page for even more information on our “Lab Partners” and other new developments. The future is filled with amazing technology, but it can raise some bewildering questions. What kind of technology will we see? How and where will we use it? And for what purpose? We get a lot of emails from our clients wanting to discuss “The Future,” and even more so now that Verizon featured our smart fitness center solution in their recent announcement (learn more in Item #3). So we think this is a great time to introduce you to where the Future “hangs out” at BuildingLink — our BuildingLink Labs program. We’re bringing you a future where new technologies add to the magic of living in luxury residential buildings. BuildingLink Labs is where we experiment with these technologies and build amazingly useful tools with them. 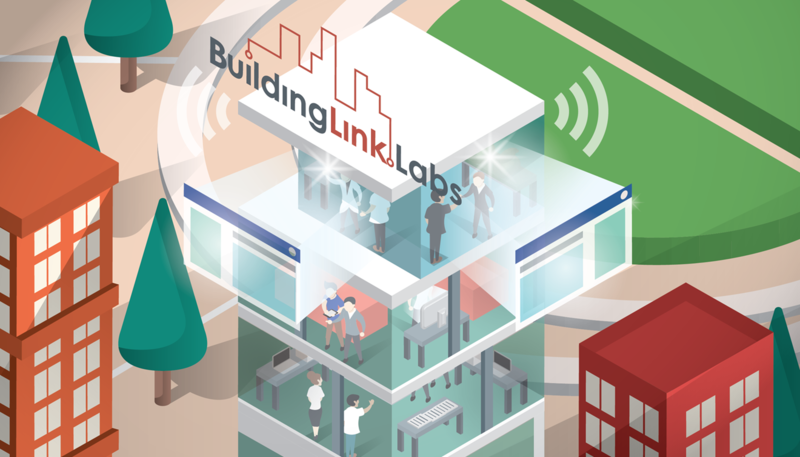 Yes, BuildingLink Labs is an actual PLACE (the 4th floor of our New York offices). But, it’s also a partnering INITIATIVE. And it functions as its own WEB PAGE. In the broadest sense, BuildingLink Labs represents our commitment to find and harness technology that works for you in a frictionless way. Can you tell that we’re excited about this? Want to see the future? Visit our BuildingLink Labs web page and . . . Learn about our "Aware! by BuildingLink" sensor solutions, specifically how we’re bringing operational transparency and smart analytics to your fitness center, elevators, mailboxes, and more. Preview ConciergeLink, Connector, and Companion, devices and programs we’re developing to bulletproof your site from Internet and hardware interruptions. Bring your own solutions to life in BuildingLink with our Public API. Or learn more about our overseas technologists and domain-specific technology partners. It’s a lot, we know! This is just the tip of the iceberg — and we think it’s a good start! If you want to learn more, come visit us at Union Square in NYC. We’ll gladly answer your questions and show you the work we’re doing on sensors, image/voice recognition software, iBeacons, Smart Locks, Biometrics, Aging 2.0, Document and Label OCR, SMS bots, and disruptive new initiatives like Peer-to-Peer Homeowners Insurance. Four words that go together: Future. Technology. BuildingLink. You!